CARBONDALE – Mary Joyce Powell, 82, of St. Charles, MO, formally of Carbondale, passed away on Thursday, February 7, 2019 at the Lewis and Clark Gardens in St. Charles, MO. Mary was born on February 28, 1936 to Lewis and Sara May (Tipton) Parker in Carrollton, KY. She married Martin Henry Powell on August 20, 1966 in Bloomington, IN. He preceded her in death on September 21, 1981. Mary is survived by her son, David Powell and wife Jackie; step-sons, Richard Powell and wife Toni, Martin Powell and wife Joyce, and Thomas Powell; grandson, Shayne Powell; step-grandchildren, Abbey, Anna, Matthew, Martin Henry Powell IV, Emily and Jameson Powell; very close nephew, John Bickel, Jr. and wife Lauren and niece, Sandra Lawson. 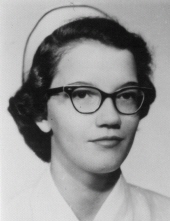 Mary attended Indiana University where she obtained her Bachelor’s and Master’s degree in Nursing Education. She went on and obtained her Ph.D. in Higher Education from SIU in Carbondale. Mary loved to teach which was evident from her different roles as educator over the years. She was first employed as a Nursing Instructor at Los Angeles County General Hospital, then as an assistant professor for the department of nursing at SIU at both Carbondale and Edwardsville campuses. She then worked as the Assistant Project Director for Southern Illinois Health Manpower Consortium at SIUC and was the Associate Chief of Nursing Service for Education at the Marion Veterans Hospital. She also did in-service education at Memorial Hospital of Carbondale. Her professional memberships included Phi Kappa Phi, American Association of University Women, Sigma Theta Tau (Honorary for Nurses), Pi Lambda Theta (Honorary Fraternity for Women in Education), and life memberships of both SIU and Indiana Alumni Universities. Funeral services for Mary will be 1:00 PM, Wednesday, February 13, 2019 at Meredith Funeral Home in Carbondale. Burial will follow in Oakland Cemetery, Carbondale. Visitation will be 11:00 AM until 1:00 PM on Wednesday at the funeral home. Memorials in her Mary’s name may be made to Indiana University School of Nursing or SIU Nursing Scholarships. To send flowers or a remembrance gift to the family of Mary Joyce Powell, please visit our Tribute Store. "Email Address" would like to share the life celebration of Mary Joyce Powell. Click on the "link" to go to share a favorite memory or leave a condolence message for the family.